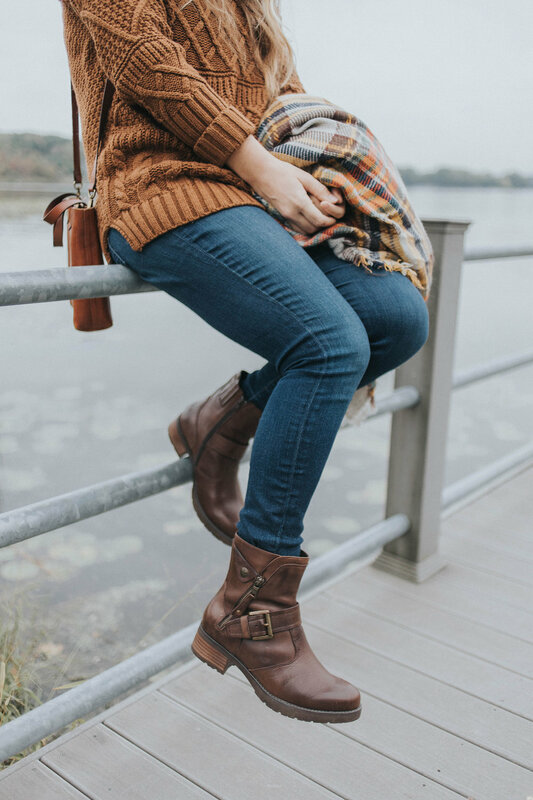 Now that autumn is here, and temperatures are starting to cool down, I’m so excited to bust out some chunky socks…and of course, some comfortable and stylish boots for autumn! I’ve been on the hunt for a pair that I can easily transition from fall to winter, so that’s why I’m excited to team up with Earth Shoes at V & A Bootery! 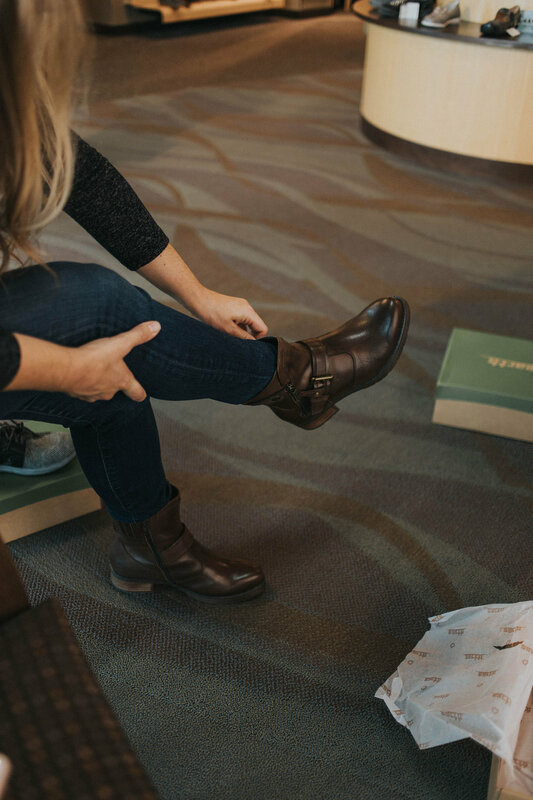 I hadn’t heard of the brand before, so I was excited to head into the store and pick out the perfect pair of boots that I can wear all season long… and straight into those wintry months! Keep reading to hear about my experience, and if you’re local, be sure to check out their selection at V & A Bootery! I was excited to check out V & A Bootery, because I hadn’t been there before… and had no idea they had a location in Grand Rapids! (They have locations in Portage and Kalamazoo too!) 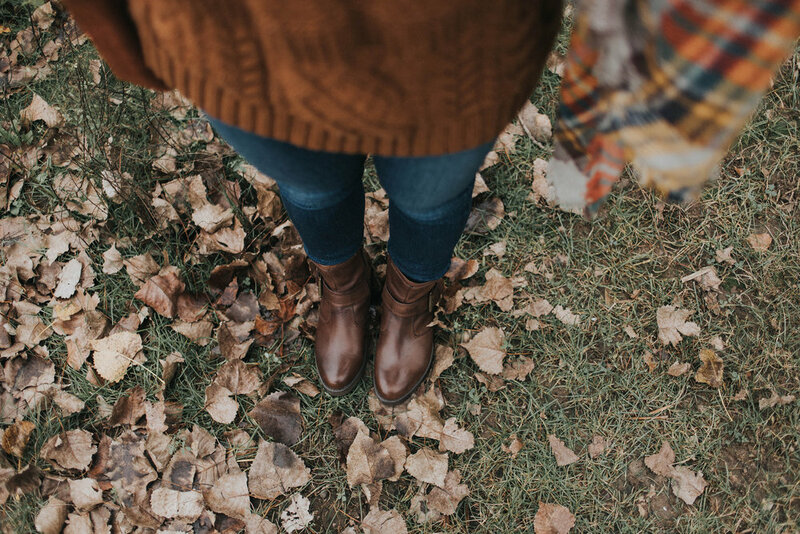 My goal for boots this year was… something earthy that I could style with all of my outfits, something leather that I could easily wipe off in rain/snow/salt, and something that was tall enough to keep snow out (when that time comes!). 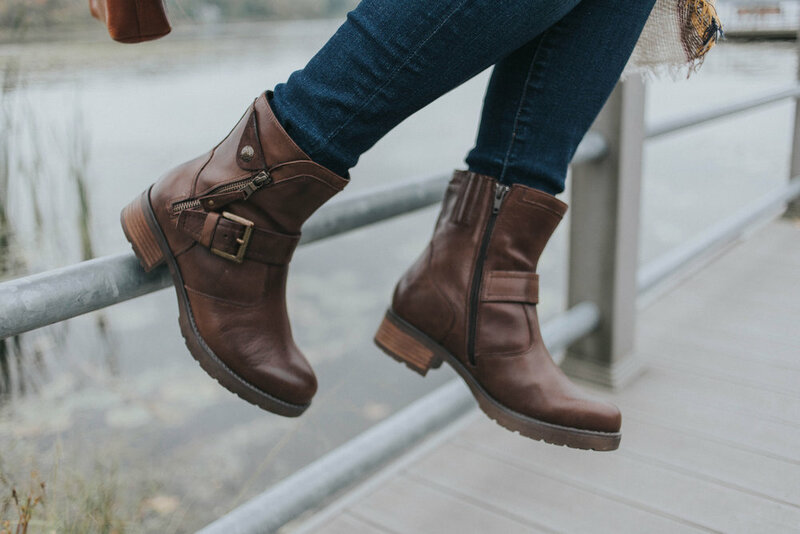 I found these moto-chic boots with a chunky heel from Earth Shoes that are super soft and comfortable on the inside. I love the leather (the color is so pretty!) and that it’s a low heel height (only 1.67”). And they are SO comfortable! They have reinforced arch support and memory foam footbed cushions. My experience in the store was great! One of the guys working helped me pick out a bunch of pairs of shoes to try on, and was super nice when I checked out. V & A Bootery is a family-owned business, and is a leader in footwear in West Michigan since 1923. I had no idea! 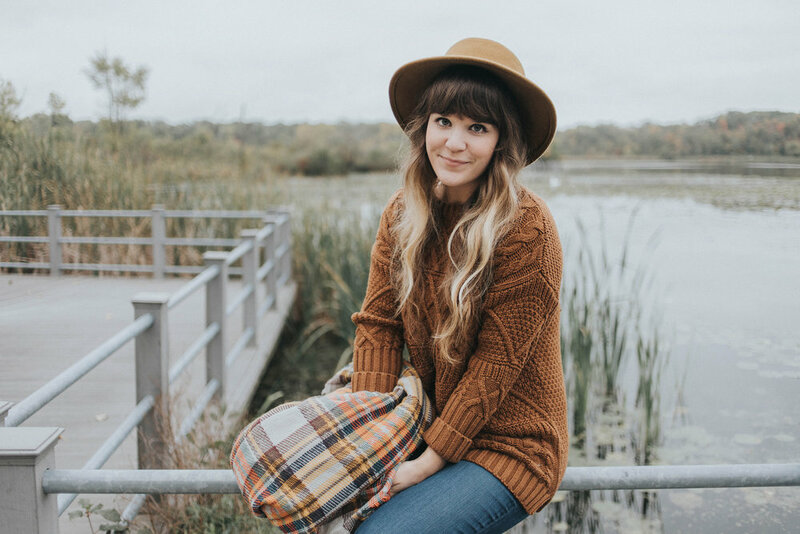 They have a ton of different brands (Earth Shoes included, of course) and a super helpful staff to show you shoes that are stylish and make your feet feel comfy! 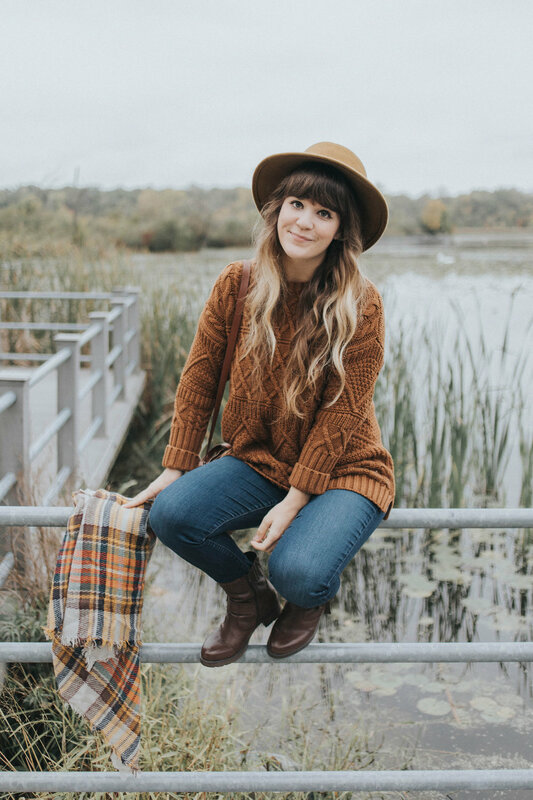 The Earth Shoes collection was hard to choose from (lots of cute boot options) – but I’m excited about the boots I picked out! And I love that they partner with Trees.org – where you can buy shoes and register to plant a tree on the earthshoes.com website! 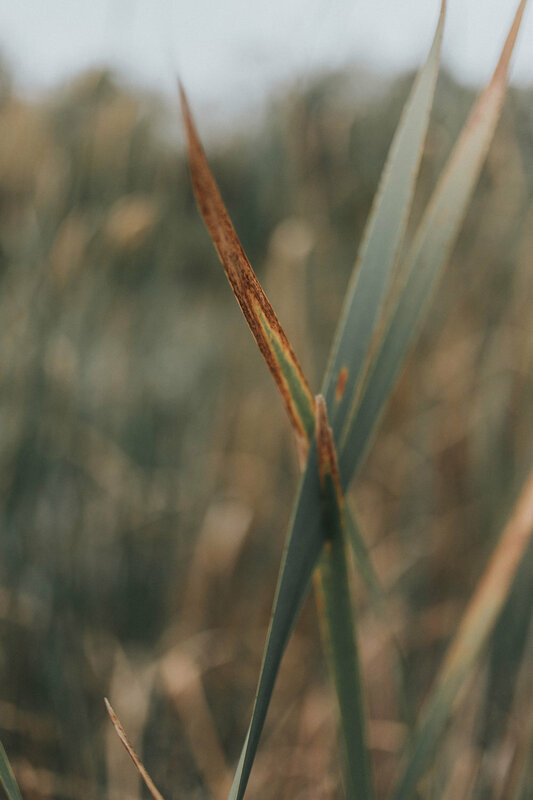 Eric and I took a stroll around Reeds Lake to check out all of the leaves changing… which is happening so quickly! It was so pretty out there. It feels like autumn just began… but we’re getting close to peak color already, which is nuts! Only a week away maybe! We have a couple of fun trips planned this year… and I’m really excited to head up north and take in the fall colors. 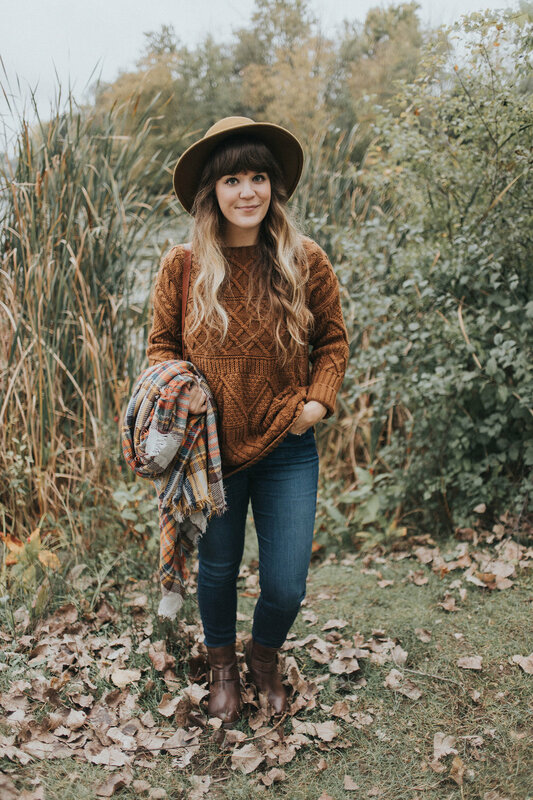 I have so many things on my “autumn bucket list” that I need to check off – buy a pumpkin candle, drink a caramel cider, eat a hot doughnut, visit an apple orchard. 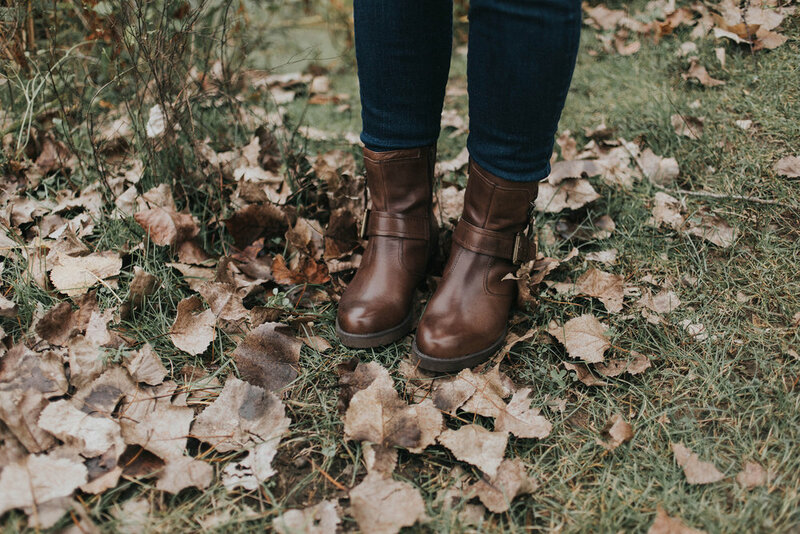 But I can check off “buy comfy boots for autumn” off my list! If you’re needing a pair of new comfy shoes for autumn/winter, be sure to check out V & A Bootery! You’ll have a great experience finding what you need. Happy autumn! This post is sponsored by Earth Shoes and V & A Bootery.